Free sandwiches prepared dermo optically. Live art event as part of Vstop Probst, Celje, Slovenia. A public performance as part of Vstop Prost, Celje, Slovenia. 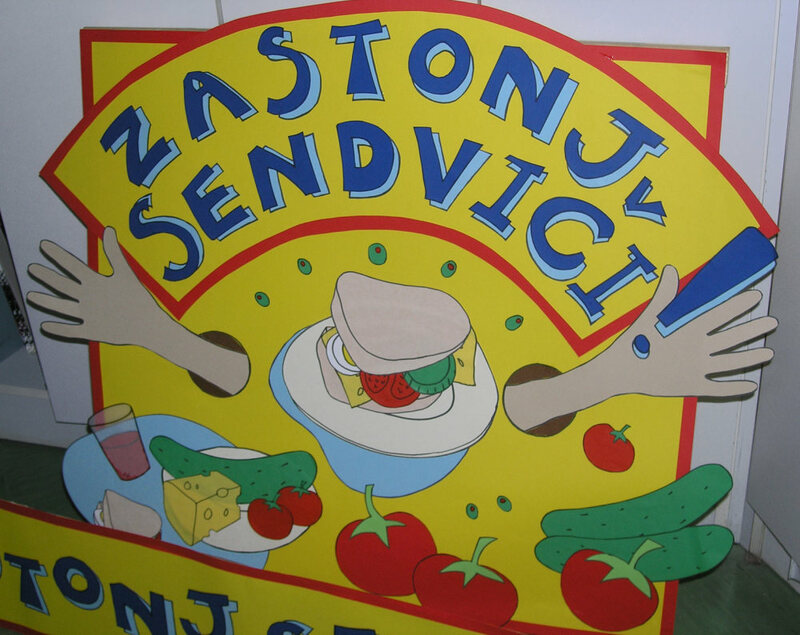 In Zastonj Sendviči (Free Sandwiches) the artist makes sandwiches without the use of her vision. The sandwiches are free to the public. The idea arose during the artist's residency at Likovni Salon, Cejle in 2006 when she found it difficult to find shops that sold sandwiches. 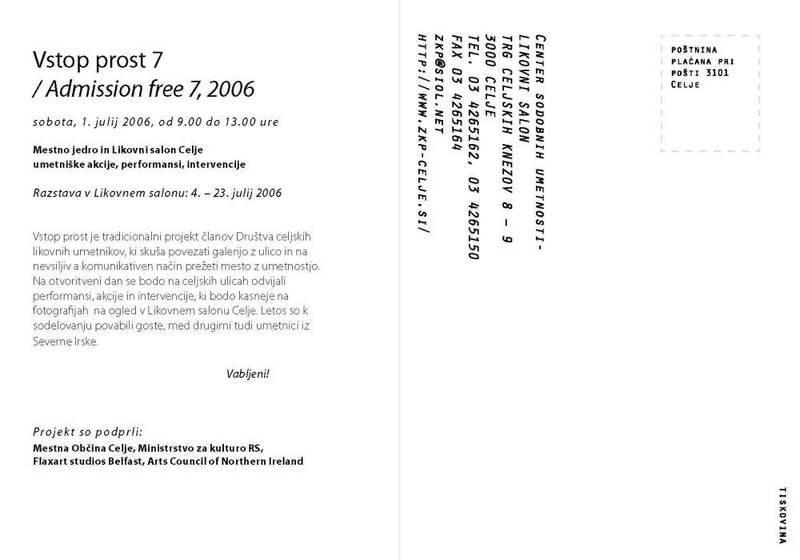 Zastonj Sendviči references earlier works that explore the phenomenon of dermo optical perception.